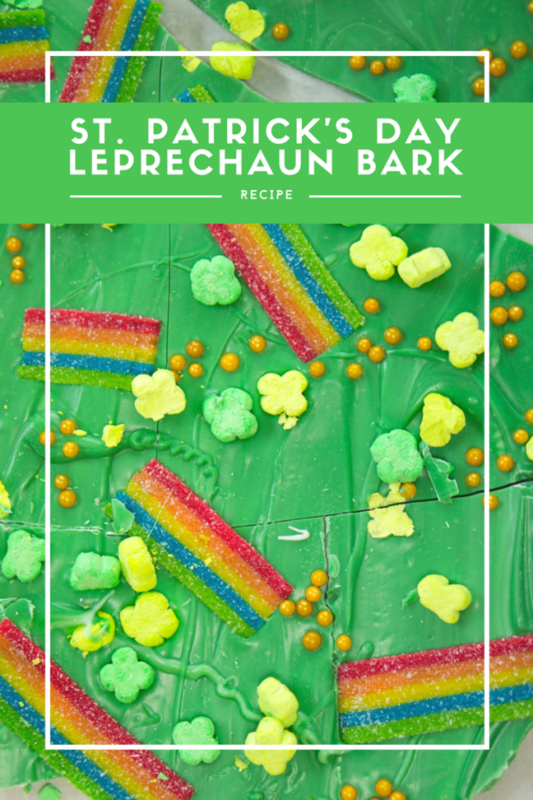 This St. Patrick's Day Leprechaun Bark is a fun recipe to make with kids. My Irish roots are popping at the seems! We made this yummy bark for the kids to take to school for a special snack time. Most definitely a sharing sweet treat that I needed to get out of my house. St. Patrick's Day is a fun low-key holiday that I love to see parents participating in. Kind of like Elf on a Shelf, you can have a mischievous leprechaun to make a mess and leave pots of gold (chocolate) coins . Melt the white chocolate and green candy melts in separate bowls. 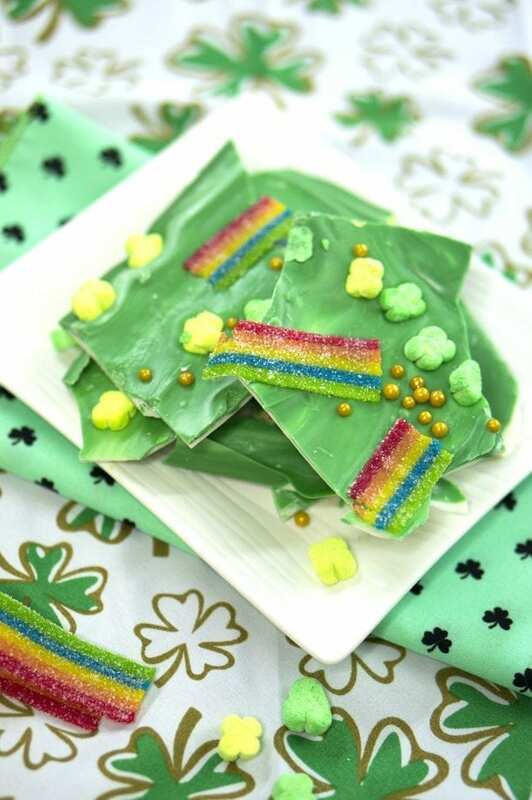 Spread a white later and then a green layer and decorate with your St. Patrick's Day themed candy. Freeze until hard and then break apart to eat. Super simple, super tasty and fun.